SANTA MONICA, CA: Beverage line Neuro Drinks has selected Formula PR as its AOR following a competitive review. SANTA MONICA, CA: Beverage line Neuro Drinks has selected Formula PR as its US AOR following a competitive review. The company, founded in 2007, chose Formula from a “handful” of agencies, said Brian Pope, CMO of Neuro Drinks. He declined to name the other firms in the review or disclose the budget. 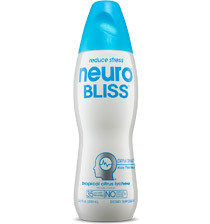 Neuro Drinks previously worked with Rogers & Cowan. Representatives from the Interpublic Group firm were not immediately available for comment. Formula won the account because Neuro Drinks “really felt that [the firm] understood the brand DNA,” explained Pope. He added that the agency's experience with healthy lifestyle brands stood out. Its clients include Bear Naked Granola, Tribe Hummus, Liquid Nutrition, and Kashi. Formula is tasked with engaging a range of healthy lifestyle and entertainment media and bloggers across the country. Pope said two stories Neuro Drinks wants to promote are the scientific and functional aspects of the brand and its personality. The beverages are designed to give consumers benefits they want at specific times, such as the Bliss drink, which was developed to take stress out of customers' lives. “[The goal] is to tell the story of a great-tasting product that really can make a difference in people's lives by giving them a range of functional benefits that they need throughout their day,” explained Pope. With a team of five staffers on the account in the agency's Los Angeles office, Formula will work to ensure PR and social media are integrated, and it will leverage its street team for field marketing efforts and sampling programs, said Michael Olguin, president of the firm. While the initial contract is for one-year, Pope said the brand expects to have a long-term relationship with Formula. He added that Neuro Drinks will launch a product in the coming weeks, and it will also announce an expansion of its retail partners. Formula will help with both initiatives.